Envato March Sale, FINAL DAY: Have the Aussies Lost Their Damned Minds?! This is an emergency bulletin to let you know about some last-minute items that Envato have added to the last 48 hours of their Monstrous March sale, some of them best-selling themes and plugins that are rarely discounted. As we have never seen them apply discounts so broadly before, we felt it was worth letting you know. 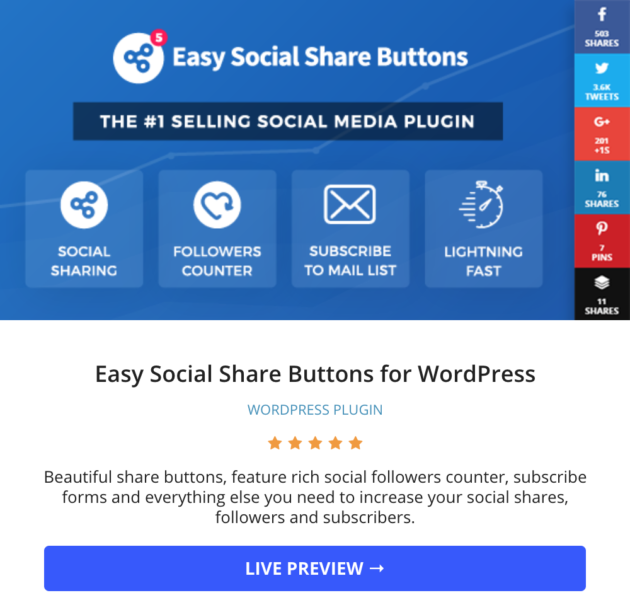 Australian powerhouse Envato pretty much dominate the WordPress industry with their marketplaces, which allow digital creatives (coders, graphic designers, musicians, photographers, videographers etc) to sell their products to WordPress users. 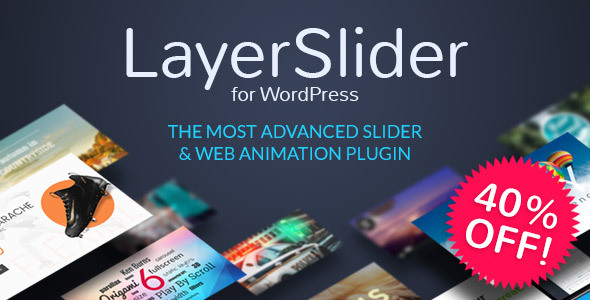 Each marketplace covers a different niche of product: ThemeForest for themes, CodeCanyon for plugins, VideoHive for video footage and After Effects Templates, AudioJungle for music and sound effects, GraphicRiver for illustrations, PhotoDune for photos and 3DOcean for 3D models. Browsing through over 9 millions digital assets you can use in your own projects will surely get your creative juices flowing. 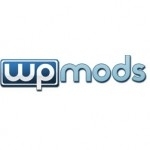 Having built up a position of such power, they can charge quite high prices and their best-selling WordPress themes and plugins are hardly ever discounted, so, even the original sale, including over a thousand popular items was a surprise, but this morning they added 17 more themes that, as far as we know, have never been discounted. This is the sort opportunity we all use to build our toolbox of digital assets, bulking up the range of designs and services we can offer our clients. It’s no secret that many of us got of first start in Web design thanks to insatiable desire of local realtors and real estate agents to find a better way to list their properties. Well, I suppose they have to do something to justify those outrageous commissions. Out of the box, this theme comes with all you need to march right into your local realtors’ office and impress the socks off those greasy little conmen. This is a theme we’ve seriously considered using for our imminent relaunch of WP Mayor – well, yeah, we clearly have to do something! So, if you fancy starting your own publishing empire, it would certainly be worth your while to take a long, hard look at Soledad. Do it while chomping on a cigar, so you can feel like an old-style publishing mogul. Could you be the next Mark Zuckerberg? 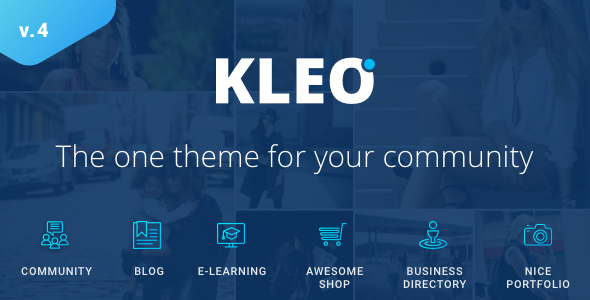 Kleo is a theme for BuddyPress, the official WordPress project to allow anyone to create a community site of their own. A slick-looking online community is something that impresses the Hell out of clients representing clubs or organizations, and it tends to be the sort of work that gets seen by plenty of people. Make sure you have your company’s link in the footer and you can expect plenty more clubs and organizations to contact you looking for the same thing. 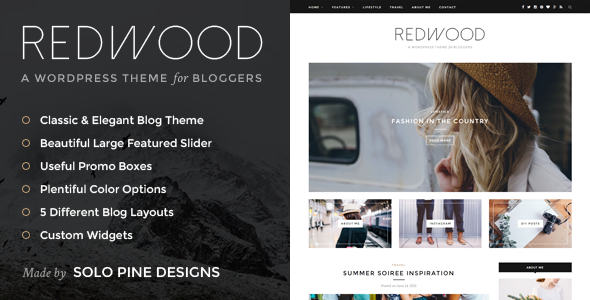 Not everything has to be highly-functional wonder themes, there’s always room for a good, old-fashioned blogging theme and Redwood is precisely that. This is the one you roll out when thoughtful Canadian songstress Alanis Morrisette asks you to make a website for her. Here’s one that is usually very expensive, 75 dollars, but it delivers some very useful functionality in return for that big bundle of green. In fact, the type of client who need this very specific type of site are likely to have quite a bit of green to throw in your direction if you can provide it. 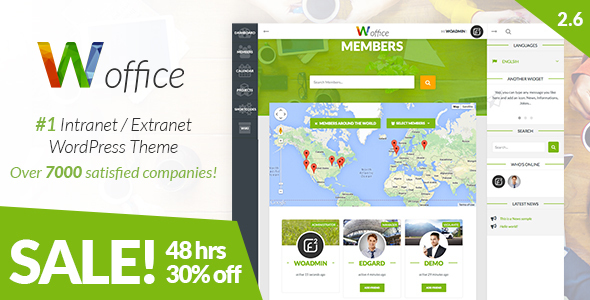 Woffice allows you to create a private portal for a company’s intranet/extranet, even incorporating BuddyPress (mentioned above in the Kleo theme summary above) if they want to provide a mini social network exclusive for their employees (imagine Facebook, but with all your friends replaced by the people you hate at work). That is very specialized fun, for the type of clients who tend to have decent budgets, so, the sale price of $52 is actually a pretty good bargain, be sure to snap it up while you can. This is what we call a kitchen-sink theme, because it offers a bewildering array of configuration options, theoretically allowing you to make almost any type of site. This genre of themes is particularly associated with Envato’s ThemeForest marketplace, where some of the most popular theme creators found themselves locked in a never-ending battle to provide ever more features and alternative lay-outs than their competitors, because it resulted in more sales and just a few more sales that the other guy could put you at the top of your niche’s best-selling list, meaning even more sales. 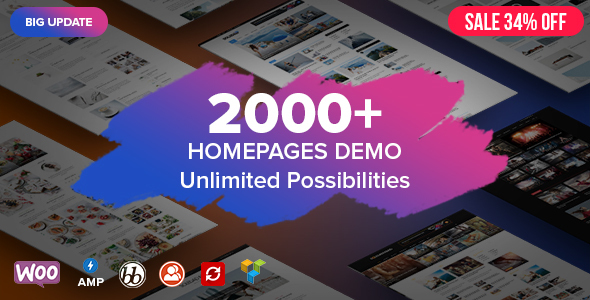 If you are looking for a classic ThemeForest kitchen-sink theme, Total – as the name suggests – will certainly deliver a ridiculously complete solution. 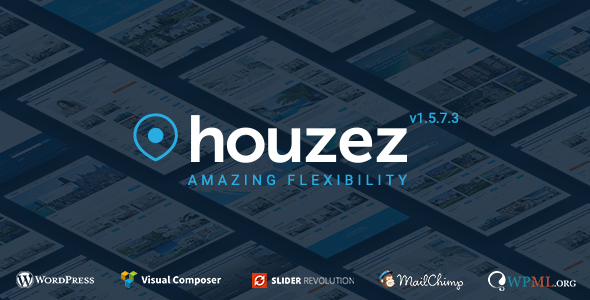 Could you base your entire Web design business on this one theme? Probably … but, ultimately, if you take short-cuts like that in life, can you really consider yourself to be a total human being? This is just a sneak peek into this unusual sale, we hope you find some bargains that help your business. P.S. 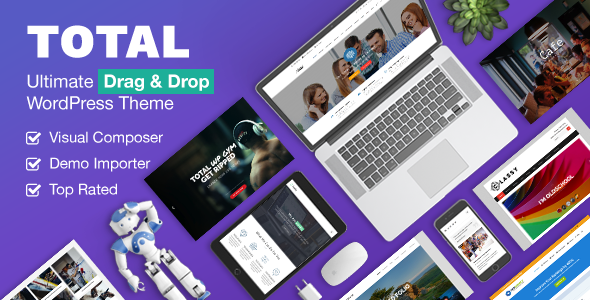 Don’t forget, there isn’t much time left, Envato have only made this offer available for 48 hours! Donnacha is a freelance writer at Effective Text who combines a deep understanding of technology and business with the rare ability to convey complicated ideas in a clear, engaging manner. He believes that the natural SEO of good writing is the most effective way for companies to build their visibility and credibility online. He has been an active member of the WordPress community since 2005 and is a regular contributor to WP Mayor.